Home / cass rangip / Gertrude Sios / laniata legacy / Philma Kelegai / PNG / WHAT HAPPENED TO THE INFAMOUS LANIATA LEGACY? WHAT HAPPENED TO THE INFAMOUS LANIATA LEGACY? It is almost 5 years since the Laniata Legacy got established as a non-profiting organisation on April of 2013 in Brisbane, Australia. The inception of the Laniata Legacy bears the name of an innocent woman who was accused of sorcery, put through prolonged periods of public torture, humiliated and set ablaze to her death. Kepari Laniata was 20. The formation of the Laniata Legacy proved significant at the time when both the domestic and international community woke up to the news of this barbaric act and were in need for information to fully comprehend how such savage ferociousness would transpire in a country renowned for its principles, moralities, ethics and beliefs all based in the Christian faith. From its inception in 2013 in Brisbane and gradually reaching PNG, the Laniata Legacy won hearts over as it took a bold step in publically condemning and openly denouncing every act leading to Kepari Laniata’s torture and death by way of demonstrations [anti-domestic violence campaigns (via social and mainstream media), protest marches, rallies, outreaches and petitions] each year under the slogan “Haus Krai”. In due course, the Laniata Legacy organisation had conformed to driving awareness of gender-based violence particularly focusing on women. It is worth mentioning that in the same year, (June 2013), while all these awareness campaigns where actively being pursued, another innocent 40 year old woman, Helen Rumbali was accused of sorcery and beheaded in public. When news of Helen Rumbali’s death hit social networks, the international community reacted but this time profoundly anathematising the perpetrators and equally criticising the PNG Government for slumbering and lacking intervention on such sensitive issues especially with Laniata Kepari’s case still waiting closer. By now, and to the outside world, the name Papua New Guinea was associated to scenes of extreme violence accompanied by dramatic headlines that strenuously reprehended and criminalised Papua New Guineas culture especially the maltreatment towards woman. 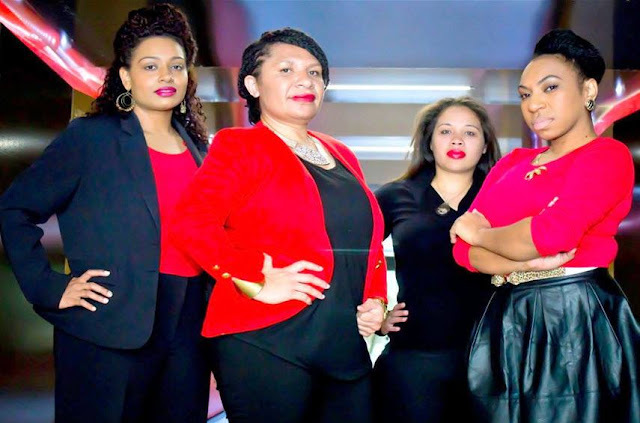 Laniata Legacy is the brainchild of a Brisbane based Papua New Guinean quartet, Philma Kelegai, Cassaundra Rangip, Gertrude Sios and Mona Endehipa. These four women have been credited, applauded and revered by so many (individuals, organisations, businesses etc.) in PNG and overseas for institutionalising such an organisation that appeared to fight in the forefronts of the perpetual - war to eradicate violence against women. Things seem to have hit a brick wall and have lapsed into doldrums. The once vibrant, vocal and overly praised non-profiting organisation thought to be advocating something more insightful and worthwhile has gone vague and seem impaired by diminution. Even though a non-profit organisation by name and on paper, the Laniata Legacy has been well funded by charitable organisations, business and individuals committed to justice for individuals, especially female members of our societies who fall victim to horrendous acts of unspeakable abuse and killing. Rumours have emerged of infighting amongst the quartet, Philma Kelegai, Cassaundra Rangip, Gertrude Sios and Mona Endehipa specifically with regards to the financial management of the Laniata Legacy organisation. If the speculated rumours with regards to financial perversions are true and are the very reason for the organisations inoperativeness to date, it begs the very question of what the true motives and intensions were and why capitalise on the death of an innocent mother solely for financial gains? Philma Kelegai announced on the 21st of December, 2017 and I quote, “Please note that I am no longer a part of the Laniata Legacy. After 4 years as a VOLUNTEER (yes, I did not receive a cent, feel free to write to TLL and ask) I have left this wonderful organisation in the more than capable hands of a tireless, motivated and compassionate group of angels led by the organisations original co-founder Cass Rangip,” end of quote. Why would anyone quote and emphasis for others to feel free to write to TLL and ask if they were payed to volunteer? This is a statement of guilt and further more proves that the very reason Philma Kelegai pulled out of the Laniata Legacy is due to her involvement in a series of financial mismanagement which ended up in a three against one scenario forcing Philma to move on. Unfortunately, the premature abolishment of an organisation that gave so much hope to the hopeless speaks volumes of the intentions to why it was established at the first place. 1. The Leniata Legacy has received only K2000 from the Tribal Foundation in 2013. It has NEVER EVER RECEIVED any funding whatsoever from any other organisation or person. That is a bold face lie. After I left, I cannot speak for TLL, but in that time, that's the fact. 2. The Leniata Legacy is a volunteer organization run by volunteers, people have lives to live. What is wrong with taking a step back? No one is paid to do this? And fyi it is operational, just contact the group. They raise funds for great org in PNG in whatever small way to contribute toward solutions. Why publish factually incorrect information. 3. Gerthy, Mona, Cass and I remain friends and are very respectful toward each other. 4. Gerthy, Mona And I have all moved on and all at different times. Gerthy left ages ago, toward the beginning, Mona left later, and I resigned. Cass is the one currently running the organisation. Not sure who is feeding you these lies. 5. I wrote that on my status because I was tired of people like you publishing crap like this. I VOLUNTEERED for 4 years, never got a cent and I am proud of that. That is why I am so blessed. I never wrote that out of guilt, I wrote that because I was PROUD of myself for doing that. Please don't insinuate rubbish. 6. The Leniata Legacy served it's purpose and it continues to today, contact them and find out. Stop publishing lies. 7. Each of us have our own lives to live, it is my choice to leave TLL because I relocated to pom and have started my own life. I should be able to start and end things as I see fit for my life. How is this anyone's business? I see that once again, these ridiculous fabrications are aimed at tarnishing my reputation. It is sad that these factually incorrect and abhorrent lies are just believed and published with NO EVIDENCE. It will also have a very UNNECESSARY negative effect of TLL. I ask that you refrain from publishing such falsehoods, instead for a change, write about the good that four or your national women in Brisbane were a part of a global movement. I ask that you recognise Cass and Unga who so graciously and lovingly continue to use their time and resources to contribute to change in PNG through The Leniata Legacy and respect our choices if we want to move on from this organisation. Please don't publish these lies.